This oversized coloring book features outlines on one side of the page, blank space on the other - so your child's masterpiece won't smudge! 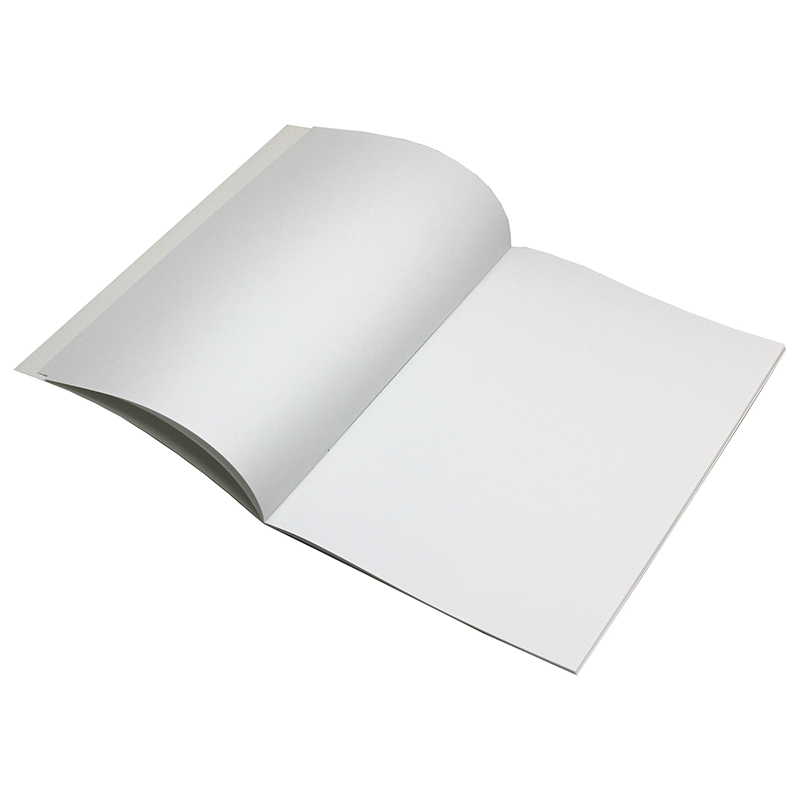 The 11 x 14 in paper is premium white bond, and the pages tear out cleanly to allow more than one child to color simultaneously and for proud display once completed! 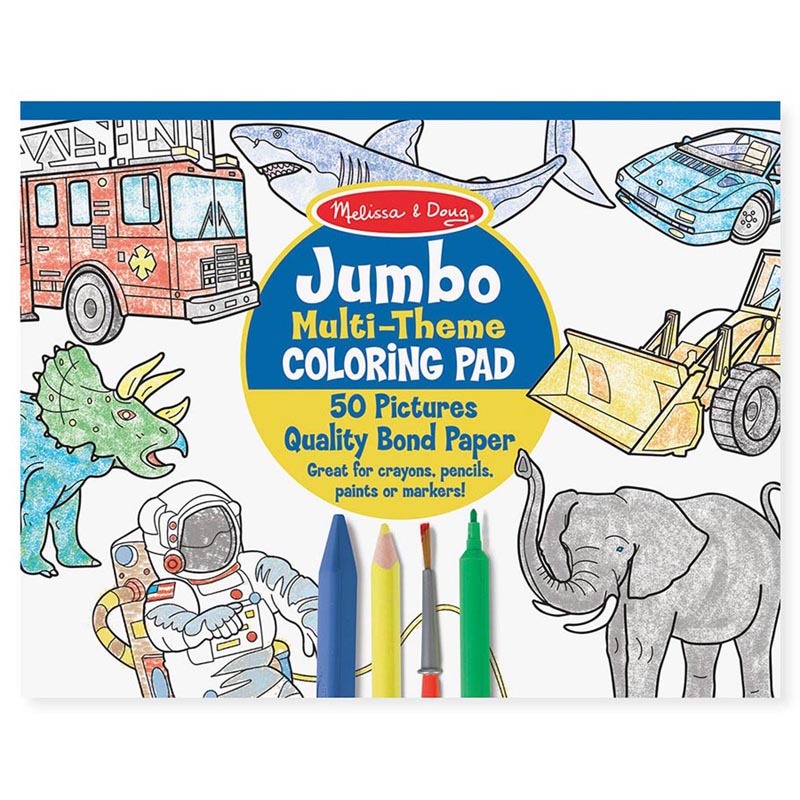 Features favorite themes, including animals, sports and vehicles are just waiting for the imagination of your artist to color. Each pad includes 50 pages. Sold as a pack of 5 coloring pads. 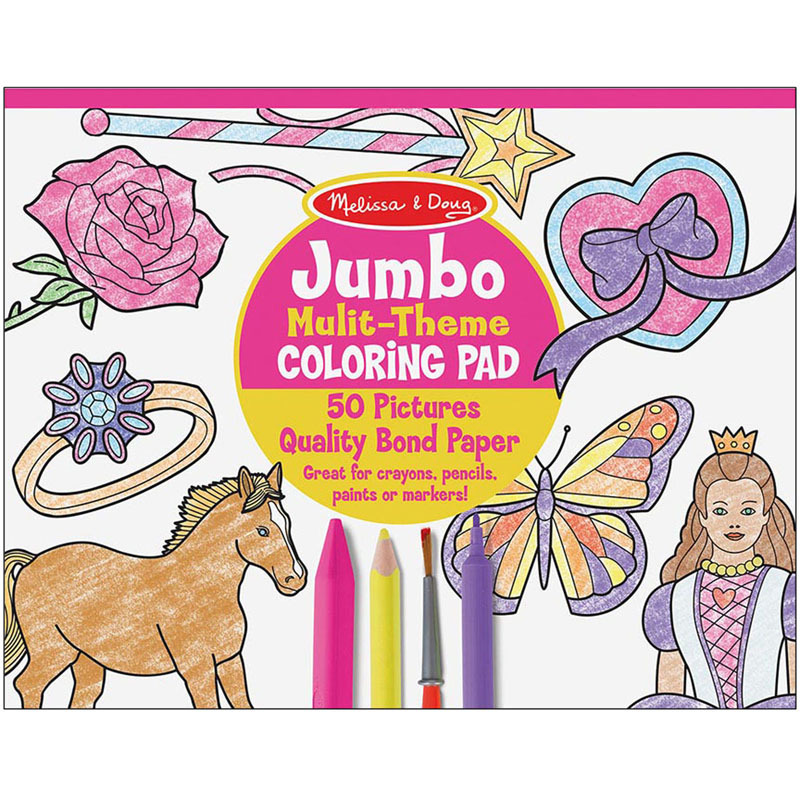 The (5 Ea) Jumbo Coloring Pad Blu 11x14 can be found in our Art Activity Books product category within the Arts & Crafts.